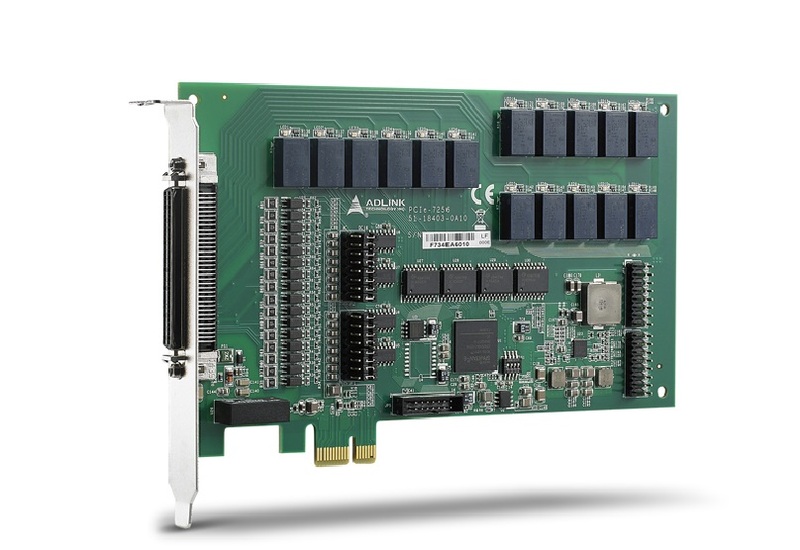 ADLINK's PCIe-7256 features all Form C type relays, ideal for device connection with on/off control. With latching relays, the PCIe-7256 further provides operating power conservation, while the status of each latching relay output is indicated by onboard LED. When the relay is in SET, its corresponding LED lights. Latching relays also feature unchanged status even when the system powered off, making the PCIe-7256 suitable for critical applications requiring output status to be maintained even under fault conditions. All digital input channels are non-polar and optically isolated, and may be set for optional use of RC filter. The PCIe-7256 also features a change-of-state (COS) function generating interrupt when any digital input changes state.